Lyn Neeley of the Workers World Party (PDX) was on my Beloved Community show this morning. She talked about the National Day of Action Against Wars at Home & Abroad. Here is the interview with her (about 4-5 minutes in). 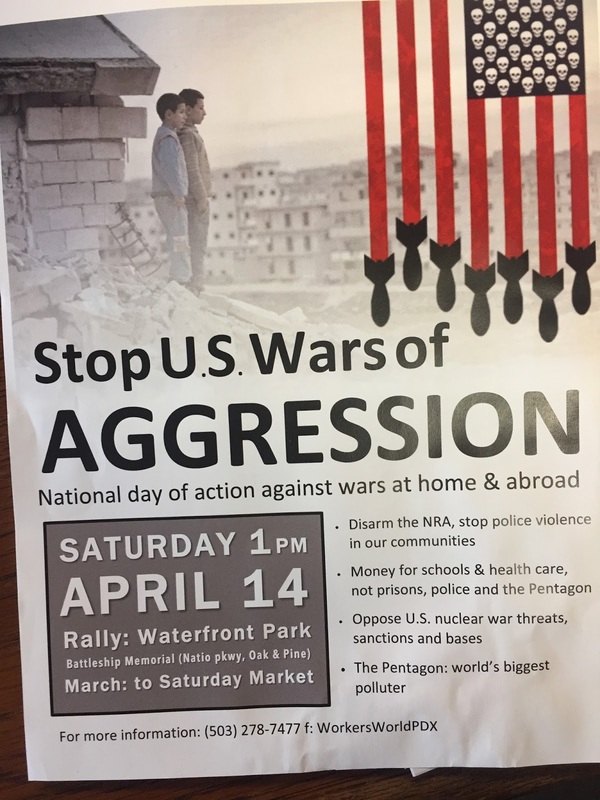 In Portland: Waterfront Park, Saturday, April 14th, 1 p.m. Here are other actions near you.